The UK’s Dhol Foundation completed a successful 8 date tour of North America in September 2016, managed by Asian Arts Agency. We showcased the Dhol Foundation earlier this year at the selectively juried Globalfest event in New York as part of our International Showcasing Programme. This showcasing opportunity led to several other performances at prominent US venues such as the Kennedy Center, Washington DC and House of Blues in Boston. As a result, The Dhol foundation returned this September to embark on its debut North American tour, with performances across the Mid-West through Des Moines, Madison, Bloomington to the East Coast through New York City, Washington DC, Toronto and Boston. 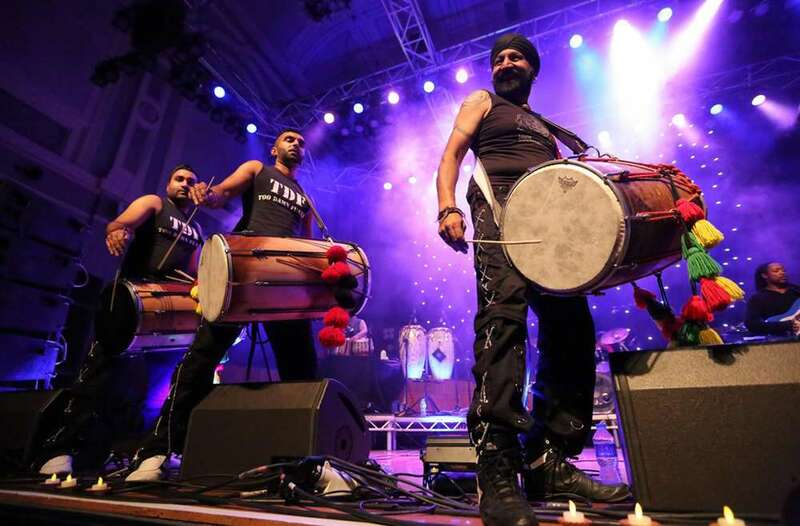 US audiences loved the Dhol Foundation’s incredible bhangra-style rhythm explosion, mixing dhol drum routines, pounding bass, wicked guitar and tabla. Check out a short video from the tour here. More photos and video from the tour will be shared on our Facebook page soon.